Have you heard of Deskfest? Because if you haven't you should get on it quick! It basically involves two of my favourite things. Breakfast (you all know how much I love breakfast!) and travelling. Well if you are the lucky winner that is! Basically Alpro got in touch with me and asked if I would like to get involved into...well having breakfast I guess! The whole idea is that in the morning we all tend to skip a healthy breakfast and turn to unhealthy options, bought in a hurry on the way to work. Which I have discovered happens to me more frequently than I'd like to admit... Yes, some mornings I would rather trade my healthy muesli for 15 extra minutes in bed. I love love love breakfast (one of my favourite is waffles on a sunday morning! ), I reeeallyyyy do, BUT I may or may not love to sleep a little more than I love breakfast. Sacrilege... but it's true! I'm a night owl and I despise early mornings like the plague. So, the idea is that you come up with healthy and easy breakfasts that you can bring to work (incorporating some Alpro product of course..) tweet them a picture (with the hashtag #deskfest) and you get a chance to win a weekend for 2 in NEW YORK. Whattt. Breakfast in NY!!! 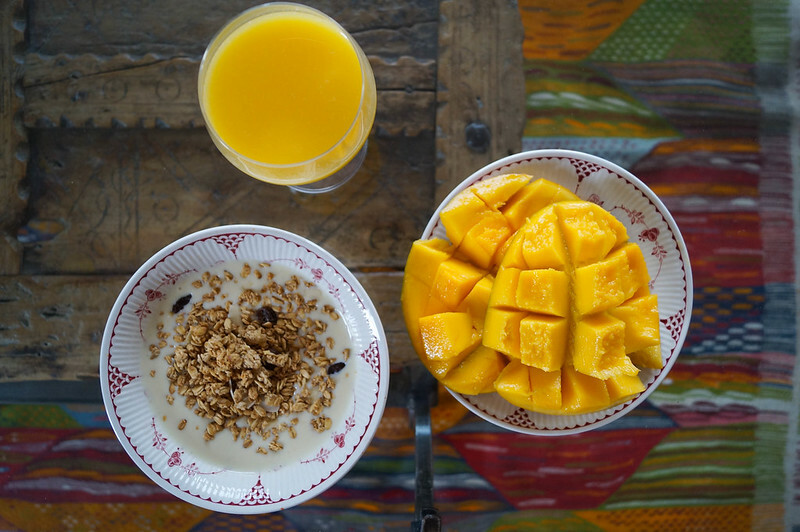 My healthy breakfast (which I have most mornings..when I'm not running around like a crazy person) would be some muesli or even better homemade granola, sprinkled over vanilla yoghurt, with fresh fruits on the side and a nice fresh glass of orange juice. 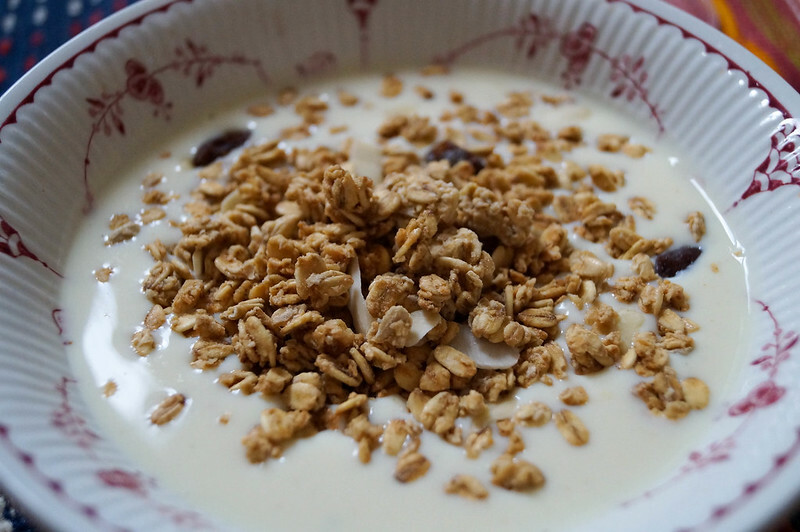 I don't think I can get bored of the granola/yoghurt combo.. I even have it as a dessert sometimes! Now tell me.. what's you go-to breakfast during week days? Do you eat it at home, or wait until you get to work..?